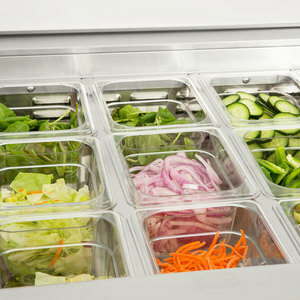 When you run a sub shop you need to have the best quality prep tables for outstanding sandwiches and subs. 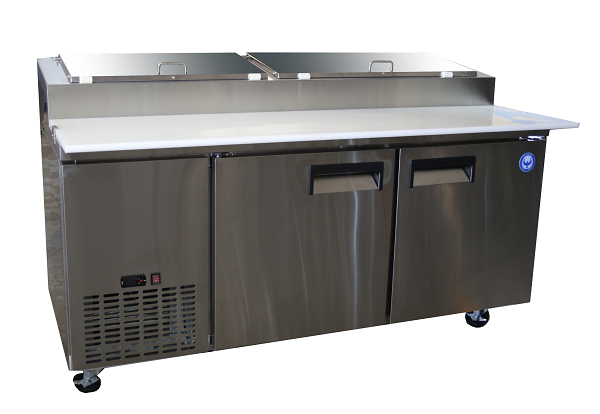 Our 47” prep table is top notch for you, providing ample space for both ingredient storage and prep space. 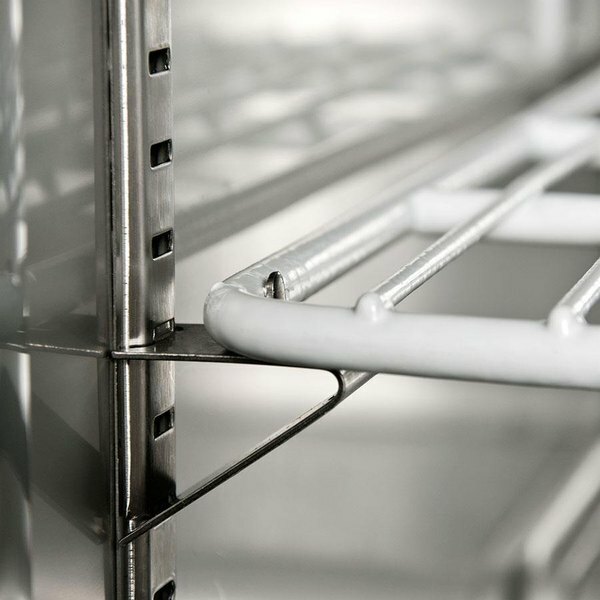 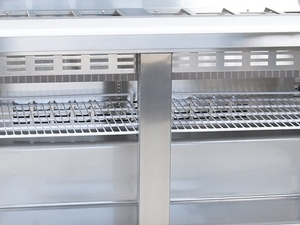 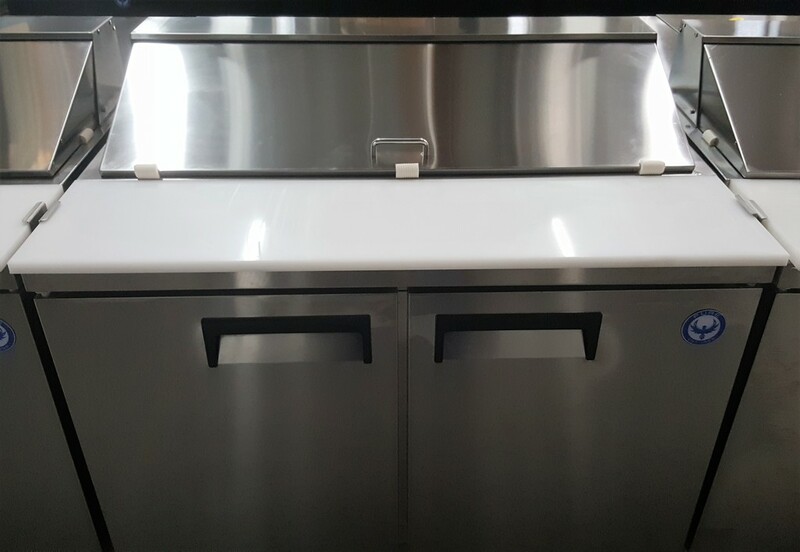 Our prep table can hold up to 18 1/6 size cambros, allowing you to have all your sauces, meats, veggies, and cheeses chilled by our insulated lid. 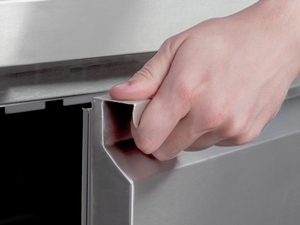 This unit offers an eight inch deep cutting board to move your subs through with ease and space. 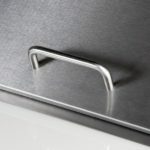 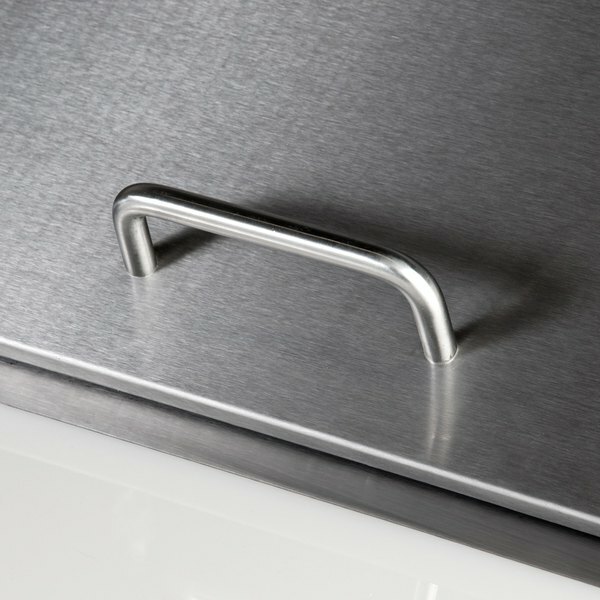 The unit’s exterior sides and doors are made to handle the busy days being made from stainless steel. 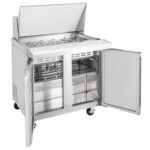 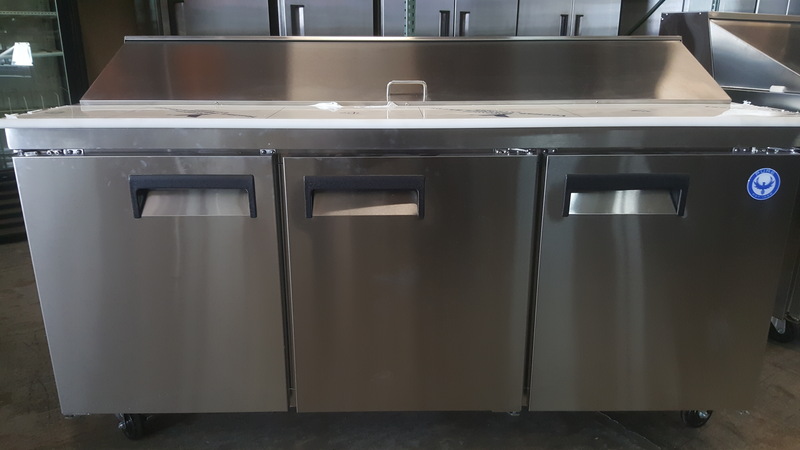 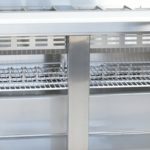 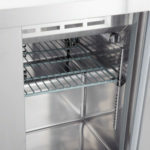 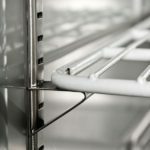 This unit is capable of holding up to (18) 1/6 size food pans (sold separately), up to 6″ deep, which provides you with plenty of room to store your sandwich or salad ingredients. 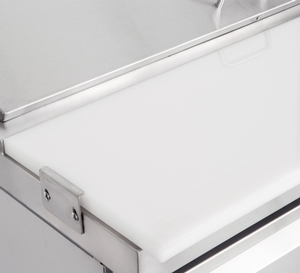 The food pan layout can also be modified to fit 1/4, 1/3, 1/2, and full size food pans. 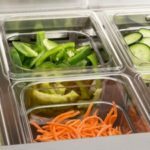 The 60″ prep table has an 8″ deep cutting board that provides your staff with plenty of room to assemble and cut sandwiches, subs, wraps, and hoagies. 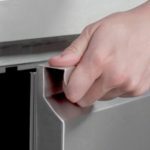 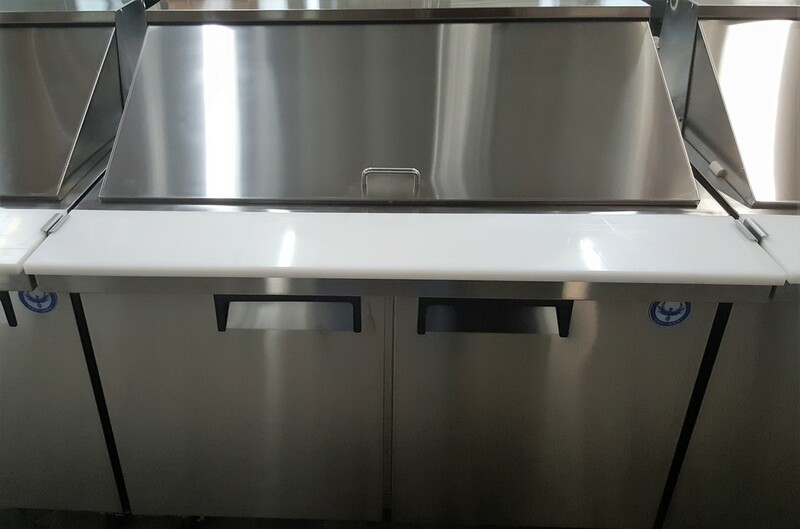 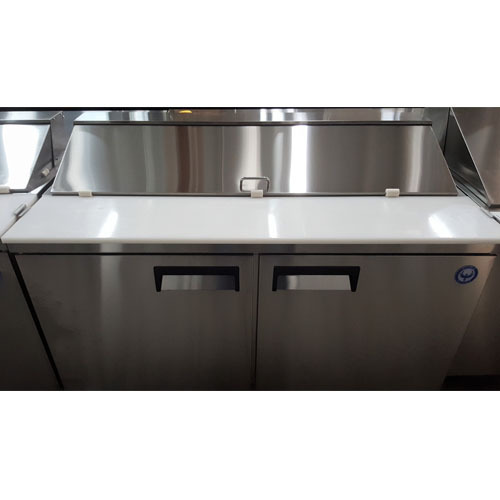 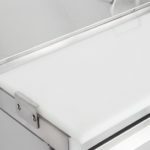 Its smooth surface makes it easy to clean and prevents cracks and crevices from forming that could harbor bacteria..
Be the first to review “PST47M-HC 47″ Mega Top Solid Door Sandwich Prep Table” Click here to cancel reply.